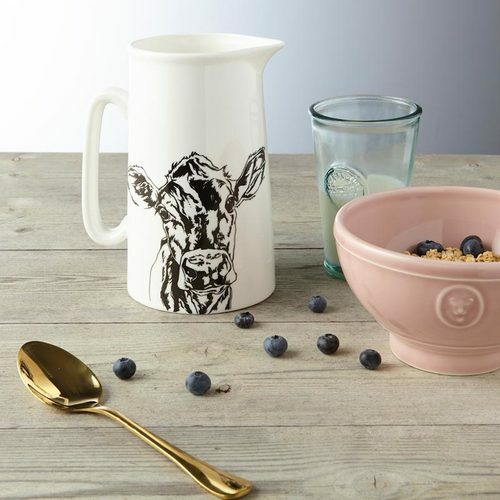 A Bone China 2 pint Jug featuring, Maisy, the dairy cow. 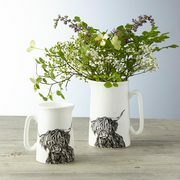 A large jug is a must have for any country home! They’re a beautiful vase to display flowers, tidy kitchen utensils or in Lauren’s case paint brushes, as well as pitcher for your milk! As and added bonus she's Dishwasher safe & Microwave safe. Hand decorated in the UK.